Hairy eyebrows, bobbly noses and shaggy fur! Make friends with all sorts of cuddly monsters in this book of touch-and-feel fun! 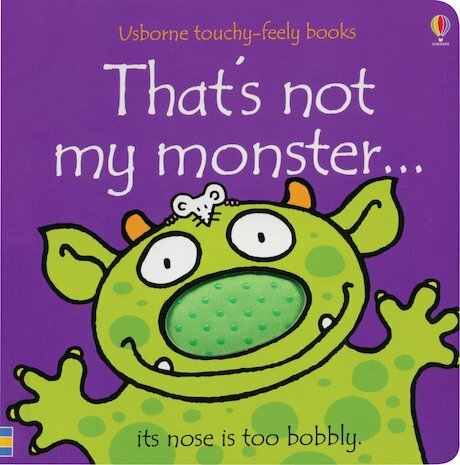 Packed with adorable monsters who are much more cute than scary, and who like nothing better than being stroked by little hands, this comical book of tactile surprises is a delightful addition to the ever-popular Usborne Touchy-Feely series. Lovely colourful book that encourages my child to feel the different textures.